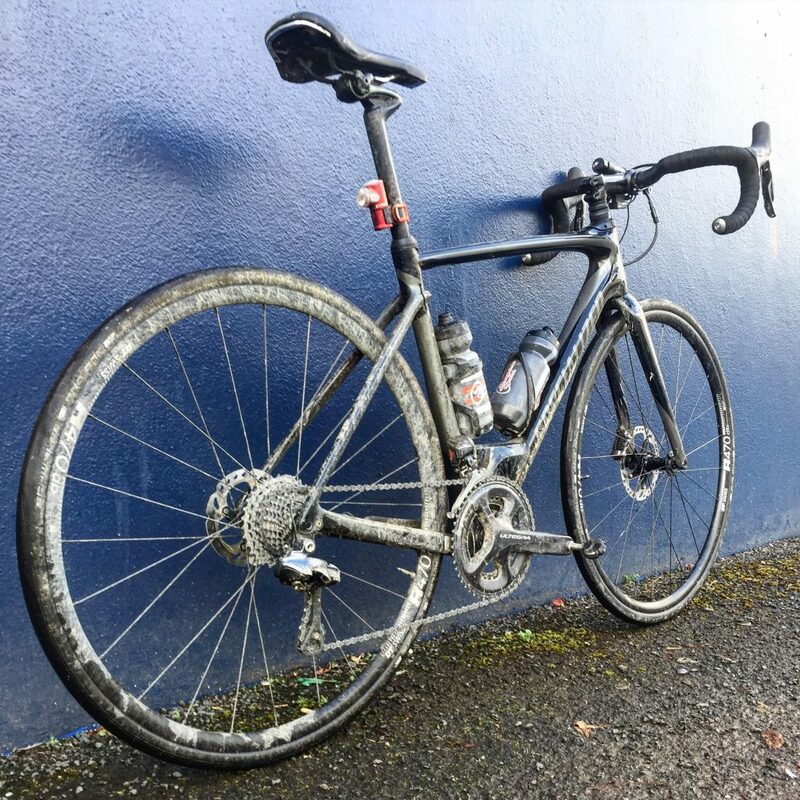 Rain, hail or snow (and sore knee), the Ride must go on! 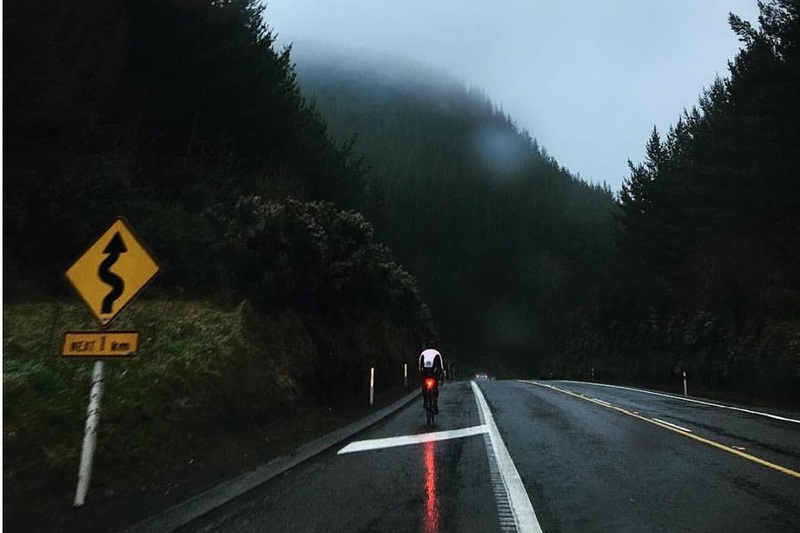 Despite yesterday’s setback Cam managed to ride another 225 kilometres today and has made it to Tokoroa, approximately 210 kilometres south of Auckland. There is still a long way to go, but every kilometre counts. The Specialized Roubaix was put to the test and the Schwalbe Pro One tyres really got a workout on the dirt and gravel today. Another big day with plenty of challenges along the way. Cam keeps pushing on – what a trooper. I woke up this morning knowing today was going to be hard. My knee pain was evident while sleeping last night, so I knew riding wasn’t going to be easy today. I strapped my knee heavily, rubbed all sorts of doTERRA Essential Oils on it, and rode. I rode through rain, hail, and a thunderstorm. My knee was throbbing – I couldn’t get out of the saddle at all today, but I found ways to manage the pain through the pedal stoke rotation, while seated. I started before sun rise and I finished after sunset. It was a gusty day. My day however, was easier in comparison to those young people out there dealing with cancer. One of the earliest signs of cancer is changes in the body like lumps and bumps. For teenagers, they may not feel comfy talking with their parents or others about changes like this. This ride is about raising awareness and inspiring youth to feel safer opening a conversation up if they notice unexpected changes. Catching these things early vastly improves the likelihood of effective treatment, as in the case of my Kiwi cousin, Lachy. For those who have already donated to CanTeen, thank you very much. If you haven’t, I’d really appreciate your support. Please follow the link below to the donation page. We’re raising funds for the amazing CanTeen Australia & CanTeen New Zealand. I had two massive “Aaargh!” moments today. Moment 1 – my GPS computer stopped directing me. It was rainy, so I figured I would sort it out at the next town roughly 40 kilometres into my ride. I missed a turnoff and 9 kilometres down the road this was revealed. When I turned back it started to hail into my face. 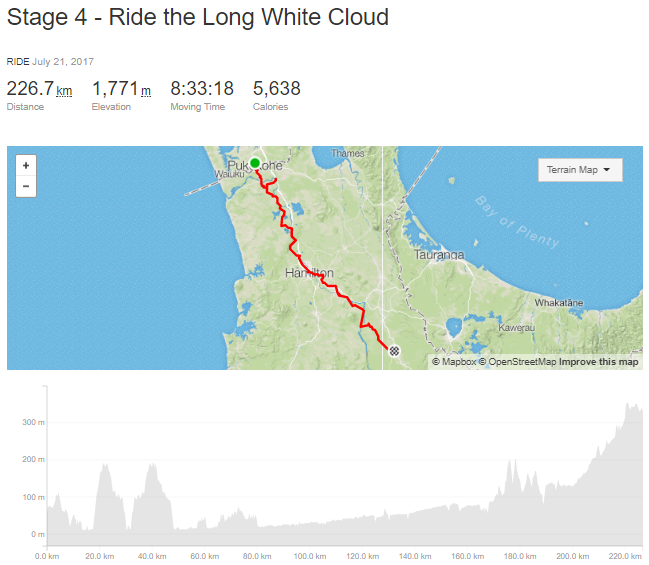 New Zealand Mother Nature was having a laugh as I added 18 kilometres to my trip. Aaargh! Moment 2 (as per the picture below) – I got a flat tyre after tearing through some brutal roads. My hands were so wet and cold from the rain and hail, I was really struggling. 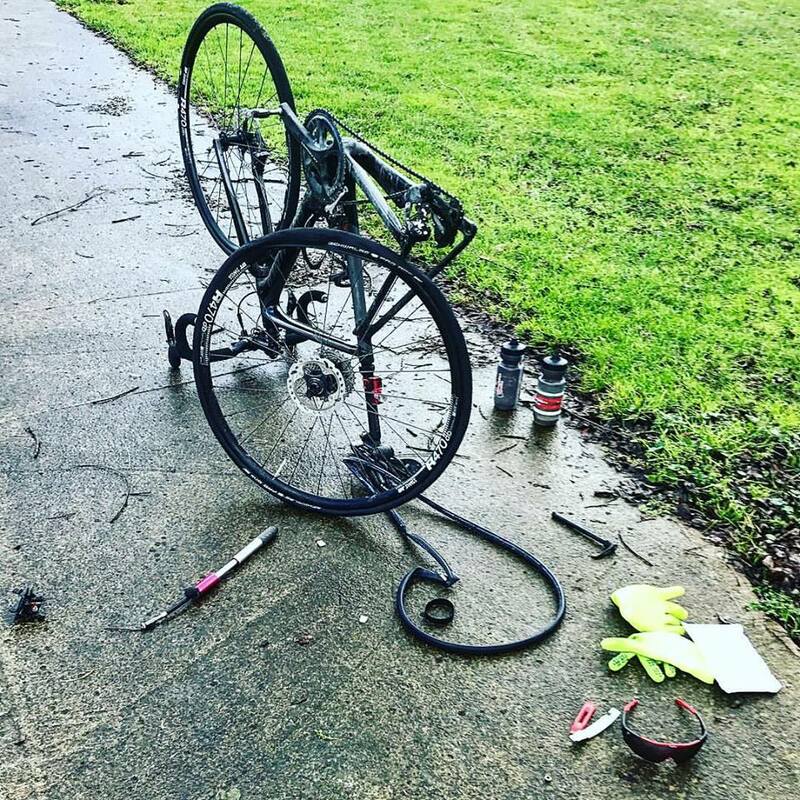 I broke three tyre leavers and had a tantrum. It was raining on me and I was starting to get cold. Luckily, Alice was 25 minutes away and I was only 3 kilometres out of a town called Cambridge. Alice picked me up, shivering and angry. A local bike shop sorted me out and Alice dropped me back to the tyre leaver explosion area and I rode the final 70 kilometres of my leg to Tokoroa. Aaargh! Tomorrow’s stage goes from Tokoroa to Taihape – 200 kilometres in total.